I found this on You Tube. 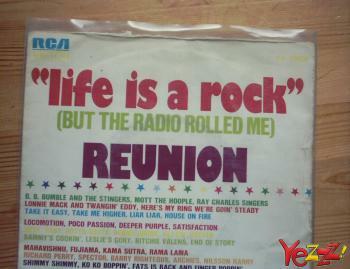 It’s essentially a humorous music video to go along with the song “Life is a Rock” by Reunion. I had a truncated version of the song on a 1974 Ronco record collection I got as a kid and I listened to the song over and over again trying to memorize the lyrics which were mostly indecipherable to me at the time.